Getting excited for travels to Morocco? Italian travel photographer Andrea Flisi shares his favorite experiences outside of the city. Desert, waterfalls, and yes - camels! 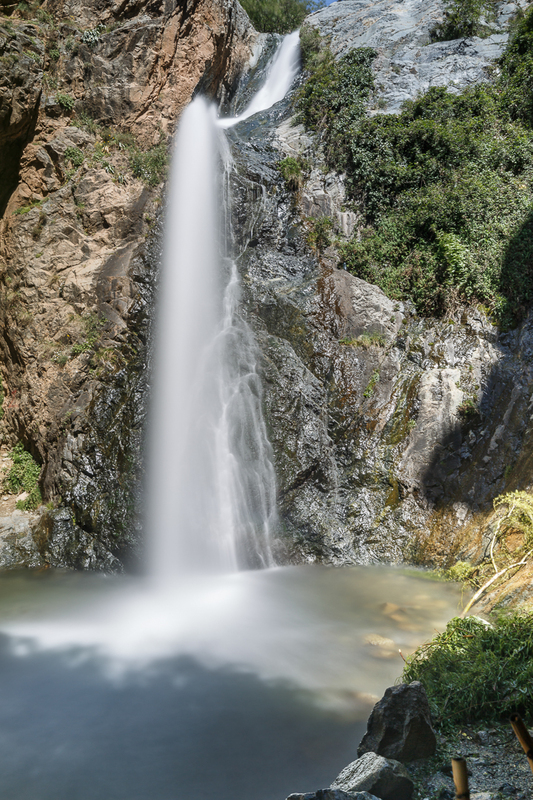 Just outside the city of Marrakech you'll find yourself immersed in the nature of the Ourika Valley. Beautiful landscapes, mountain streams, and colorful rocks abound. The Ourika Valley cuts right into the High Atlas, whose peaks begin to dominate as soon as you leave Marrakesh. The region is inhabited by Berber people who practice a traditional way of life. Despite its proximity to Marrakech, it is still considered relatively "unspoiled." A little village that’s seen increased tourist action in the past decade, Setti Fatma is a scenic stop for lunch by the river and for hikes to seven waterfalls. The village is neatly nestled in a canyon beneath the High Atlas mountains at the southern end of the Ourika Valley road. Located just an hour from the streets of Marrakech, you can get lost among sand dunes, breathtaking landscapes, colors and textures of the Agafay desert, giving just a taste of the arid and vast Great Sahara. To see these incredible animals in their natural environment and experience a ride into desert is one of the activities that embodies the essence of a trip to Morocco. Andrea Flisi was born in a remote, foggy village in the north of Italy where he discovered a love of photography. Photography allows Andrea to escape, unwind and open his world to things he would never normally do. Andrea loves meeting new people, hearing stories, and sharing them through photography. Some of his most memorable moments have been camping, hiking, photographing, location scouting, or just simply exploring. Andrea enjoys telling stories about people, cultures, places and emotions using camera. Check out his blog and follow him on Instagram. Photo credits: Andrea Flisi. All Rights Reserved.